I loved these ornaments but they did not fit our theme this year. 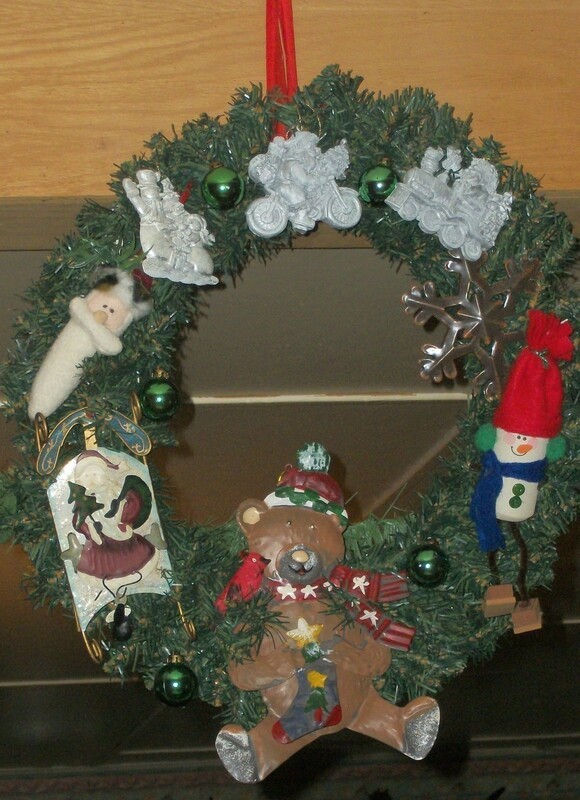 Collect ornaments and a pine type wreath. Glue gun or just ornament wires. It depends on if you want to reuse the ornaments next year. Arrange ornaments so that the weight is balanced! The top ornaments I used were ceramic the rest did not weigh as much. Glue, wire, or tie them to the wreath. You can add a bow at top but I felt it unnecessary for this one. Add a ribbon, string, wire, or other hanger to the back.